Fostering academic reflection on current policy priorities in the field of European integration via centralised high-level conferences and thematic groups (bringing together Jean Monnet professors, policy-makers and civil society in Brussels) and support for decentralised reflection activities all over the world; supporting major institutions active in the study of European integration. The European Commission's support measures for European integration studies are open to the world. They provide a response to the need for knowledge about European integration and aim to prepare the new generation of European affairs specialists. In universities throughout the world, the goal is to give greater visibility, at both international and national levels, to scientific resources and academic activities in the field of European integration and European Union developments. In the framework of the Jean Monnet Action, the term European integration studies is taken to mean the study of the construction of the European Community which led to the European Union and the institutional, legal, political, economic and social developments related to this process. 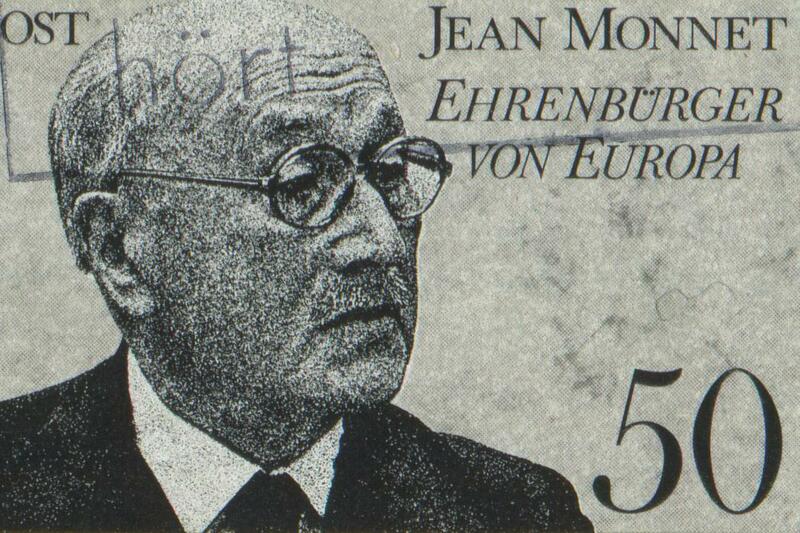 Read more information on the Jean Monnet Action, including how to apply for funding. The National Centre for Research on Europe is currently the recipient of funding from the Jean Monnet Action in the following areas. Prof Martin Holland, NCRE Director, was awarded a Jean Monnet Chair in European Integration and International Relations by the European Commission in 2001. The Jean Monnet Programme (now Jean Monnet Action) was first extended to non-EU countries in 2001 and only four such chairs were established in the Asia-Pacific region - in Australia, China, Japan and New Zealand. Prof Mike Smith, an Adjunct Professorial Fellow to the NCRE based at Loughborough University, UK, has been awarded a Jean Monnet Chair in European Politics. Dr Milenko Petrovic's EURO 224 The Economic Development of Europe – East and West and the Prospects of Enlargement is partially funded through a Jean Monnet Teaching Module grant. This course is designed to acquire a sufficient knowledge and understanding of the recent economic developments in Europe as a whole. Because of the enormous differences in the development trends and problems between Western and Eastern Europe, the course is divided into two parts that separately examine the economic development's issues in the two regions. The School of Law has also recently received Jean Monnet Teaching Module funding towards their new LAWS 355 Special Topic: European Union Law. The Asia-Pacific Perceptions Project is funded under a Jean Monnet Action Heading 15.02.01.06 (formerly A-3022) grant. The project aims to address the problem of a striking absence of data on perceptions towards the EU in third countries, the National Centre for Research on Europe (NCRE) is the first to offer such EU external perceptions analysis in Asia-Pacific region. The Jean Monnet Centre for Excellence Asia-Pacific formalises links between four EU centres within the Asia-Pacific region (China, Japan, Australia and New Zealand) and serves to intensify collaboration through a series of highly targeted activities. The Jean Monnet Centre for Excellence Asia-Pacific is administered by the National Centre for Research on Europe (NCRE) in New Zealand. The NCRE has extensive multidisciplinary EU expertise and has developed a broad range of undergraduate and postgraduate courses. Consolidate expertise and utilise this effectively throughout the region (accomplished through staff mobility, joint graduate supervision, podcasts of seminars, strategic shared use of visiting experts and creating online networking tools). Students and staff will have enhanced access to top EU academics and more opportunities to interact. Promote knowledge amongst young researchers to ensure the sustainability of EU studies, with the wider impact through graduates using this expertise in their careers within the region. Provide a platform for promoting excellence in EU teaching and research in the context of the Asia Pacific region. Staff mobility will enable the sharing of best teaching practice, online seminars will enhance discussions on key regional topics, and research collaboration will be developed studying the EU's impact in the Asia-Pacific. The NCRE at the University of Canterbury, along with partner institutions Lincoln University, University of Auckland, and the Contemporary European Research Centre at the University of Melbourne, were designated the Jean Monnet Centre of Excellence - Australasia in 2005. The Jean Monnet Centre of Excellence coordinated by the NCRE acts as a focal point for developing an effective research network of scholars involved in the broad study of the European Union. This trans-Tasman network is designed to facilitate joint research activities at both the graduate and staff level through sponsoring academic exchanges and mobility. The network currently involves 4 Jean Monnet chairs, several Jean Monnet teaching modules as well as research projects funded by the Jean Monnet programme. There are two Jean Monnet Chairs of European Integration in Australasia, one in Australia and one in New Zealand. They are Assoc Prof Philomena Murray, Director of the Contemporary Europe Research Centre (CERC) at the University of Melbourne, and Prof Martin Holland, Director of the National Centre for Research on Europe (NCRE) at the University of Canterbury. They are formally launching a new joint initiative, as part of their Jean Monnet Centres of Excellence activities. This is the Jean Monnet Discussion Papers on EU Teaching and Research. This initiative is designed to create a forum for the discussion of how to teach and research the EU from the Australasian-Asia Pacific region. It is anticipated that activities will include: selected on-line discussion papers on research on, and the teaching of, European Integration; a number of discussion forums; regional workshops and collaborative projects. Martin and Philo welcome papers for submission to the Jean Monnet Discussion Papers on EU Teaching and Research. The papers should be between 5,000 and 10,000 words and will be subject to peer review. Research in progress is warmly welcomed. Is there such a thing as European Studies? Do we need a core curriculum in EU studies? Is the EU the main laboratory for transnational inter-state cooperation? Is the European nation state in decline or in resurgence? How do we compare the EU experience with that of other regions? How do we analyse third country relations with the EU?